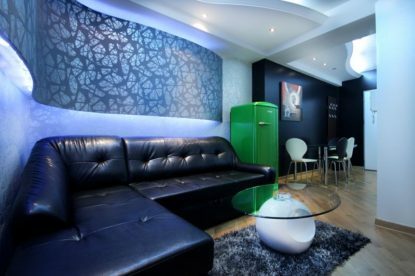 Apartment is situated in Dorćol, the oldest district of Belgrade. Apartments in this neighborhood take advantages from being in the middle of Belgrade’s nightclub scene but as well not being in strictly shopping and tourist district, so all the necessary item such as food are much cheaper and there is a greater variety, especially as one of the larger green markets is near the apartment, which is itself in Cara Dušana street. 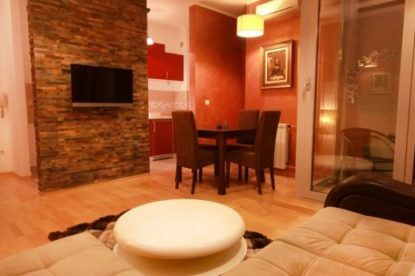 The location of this apartment for rent makes it perfect or casual walks and relaxation, as it is near the fortress, which is in itself the largest park in central Belgradeand houses the Zoo, and it is also close to the Danube and its kilometers-long walkways by the river. Republic square is just a 10 mins walk away, and that trough some of the loveliest streets in Belgrade. Apartment has a parking space with camera surveillance. Elegance, a Belgrade apartment of classical design, is large (90m² in surface), very comfortable and suitable for up to seven guests. 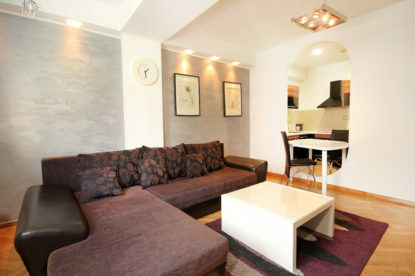 It is a two bedroom apartment, with double beds in each bedroom and a single bed in one of the bedrooms. As the name of the apartment suggests, the decor is elegant with prevailing brown and beige tones, and a lot of wooden furniture. Living room is spacious, and so are the bedrooms and the kitchen. The bathroom is also very stylish. This apartment for rent is perfect for two pairs of guests or just two guests who want separate rooms and all the accompanying comfort. 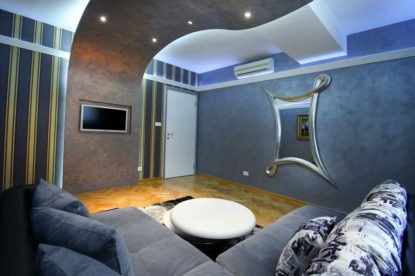 If you are looking for luxury apartment at an affordable price, Elegance is a very good choice.